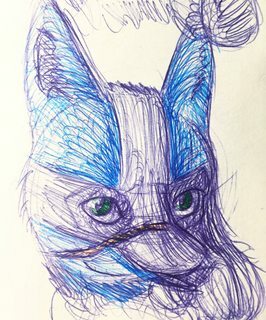 Discussion in 'Fan Art' started by NebulaDreams, Mar 26, 2018. After a long time of trying to figure out how the hell this image posting system worked on the old website, I can finally post images as God intended them to be posted on this forum! Easily! I'll post some art made for my main project so far and update with sketches and WIPs as I go along. Curio reference sheet from The Curious and the Shiny. 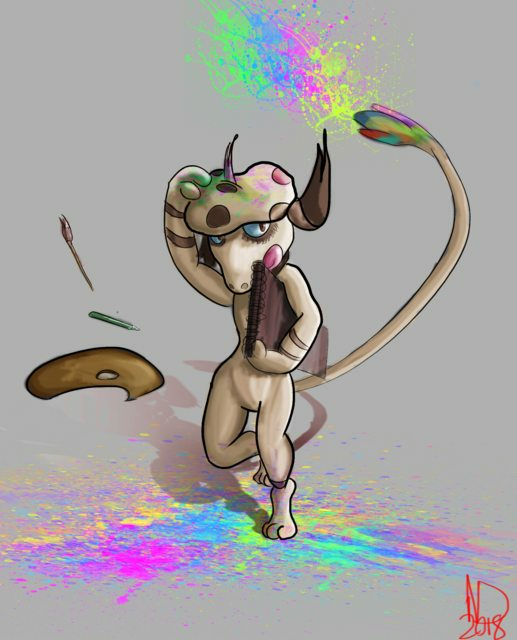 My avatar; just a quickie to test out how I'll shade my next art piece. 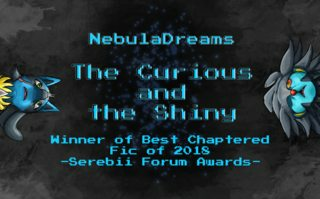 Current WIP thumbnail for The Curious and the Shiny banner. Finally finished the cover image! 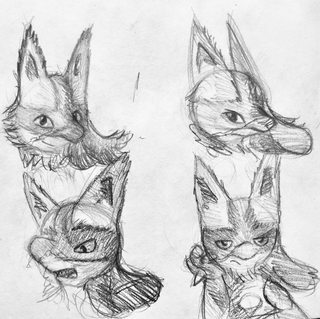 Some very derpy doodles of Curio. oh man, i am LOVING how dynamic your art style is! you might not be passing for realism, but it looks like that's your goal, because i see so much movement and energy in the way that you draw. it's fun and lively and it doesn't have to be exact. 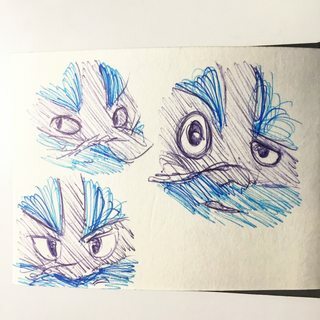 the lack of lines on those last lucarios bring a good stylistic element to it. curious, what are your goals as an artist? Wow, thanks for the input! To be honest, I don't know what my goals are as an artist. 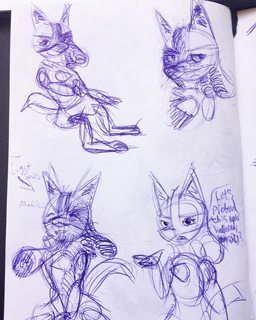 I started doing it seriously a few years ago, throwing crap at the wall to see what sticks, and now I've gotten fully into my fanfiction project I hope to create designs based off of the characters in that story. 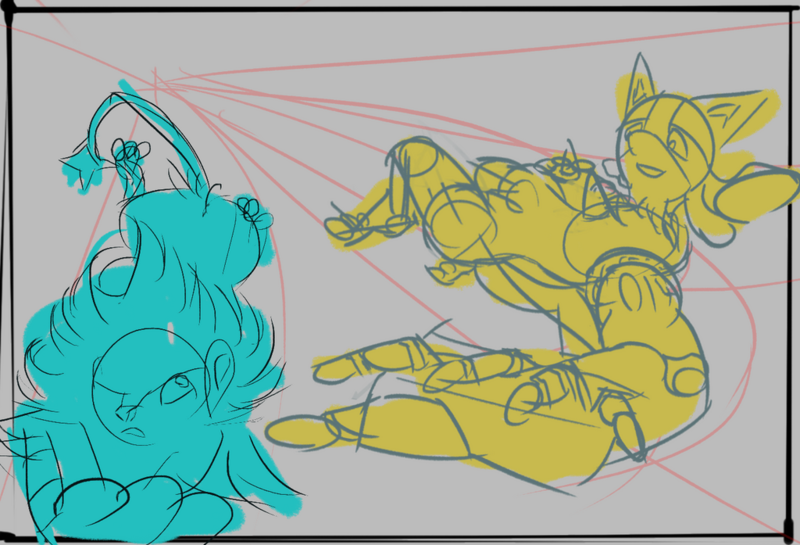 I would like to take scenes from the story and create environments based off it, but my grasp on perspective and composition (frame composition as well as scene composition) is minimal at best. I have tried my hand at doing realistic pieces and have succeeded to some extent as people acknowledge my skills at creating realistic photo portrait studies (which you can see on Instagram), but have also said my cartoony works are the weaker out of the two. 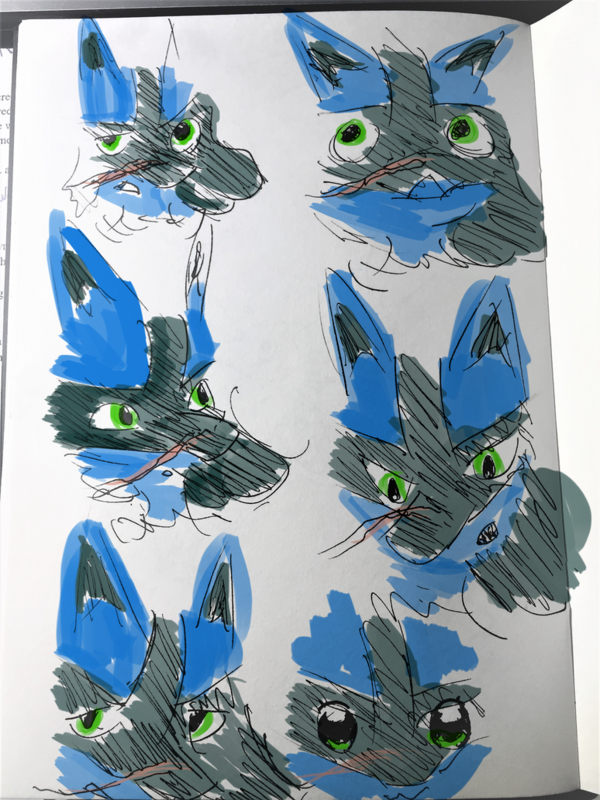 Personally, I think I'm trying to go for both at the same time (you've got to study from life to feed back into the more stylistic works after all) and don't quite know how to pull it off yet. 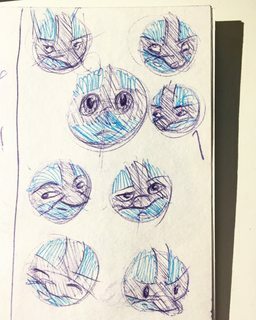 S'more Curio sketches, mostly expressions. Hi there. ^_^ Really nice and interesting artstyle. 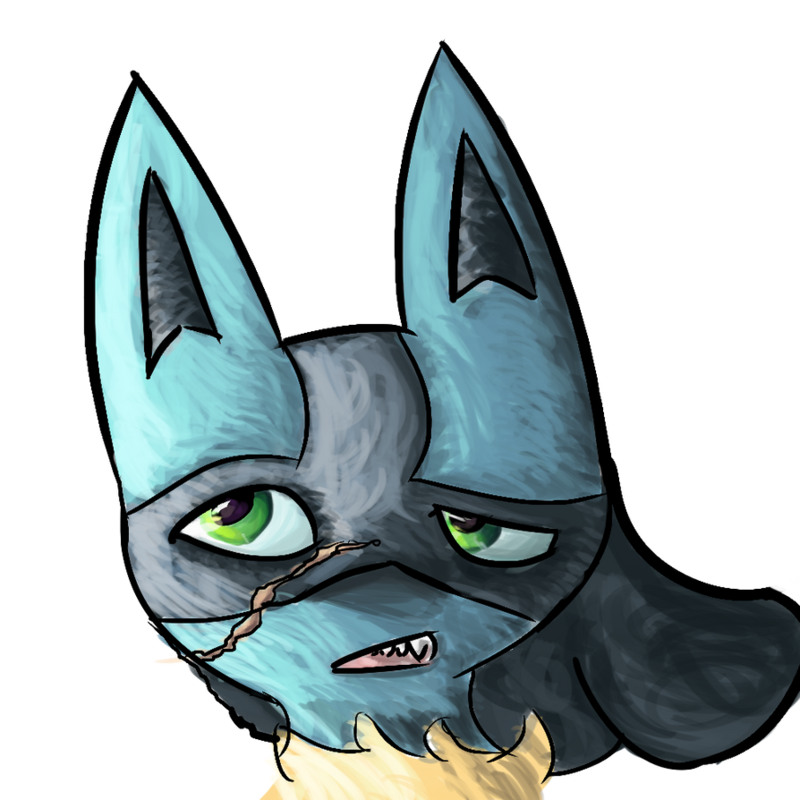 By the way, Lucario's my fave Pokémon. Just wanted to do something cute between these two. hey uhhhh that stuff is adorable! I love the painted aspect to it. You've got some great chiaroscuro going on there, fantastic contrasts between light and dark. I can clearly tell where the light source is coming from. On top of that, they just look so darn happy! 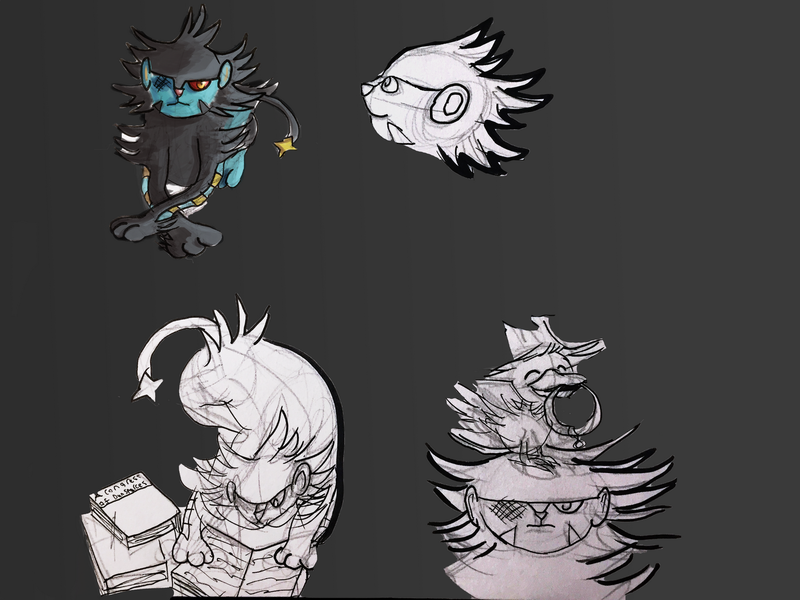 Luxray's face is my favorite. 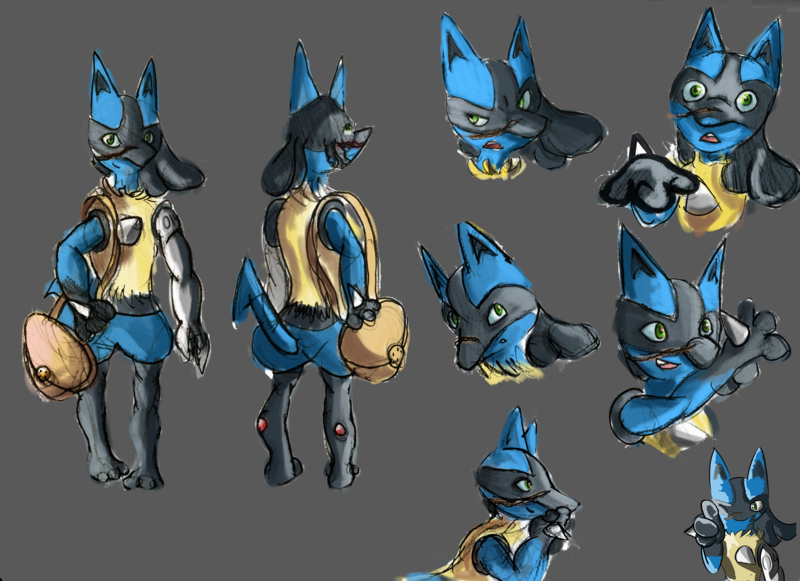 I would say my biggest criticism is Lucario's eyes look a little wonky. The color seems out of place, and they don't seem like they're pointing in the same place, like they're looking opposite directions. Other than that, fantastic work! Thanks again, Sketchie! Now you mention it, I can see the wonkyness in Curio's face, although I can't exactly piece together why. It could be the shape of the eyes or the way her pupils are pointing towards Shine. Farting around a bit with Procreate now I’ve got an iPad. Plus some early previews of what Curio’s Mom and Dad look like (to be named). Here's more art, featuring Curio in her Riolu form and a full lineup of her family! From left to right: Liam - Dad, Ruti - Mom, Trunks - Eldest Brother, Stumpy - 2nd Eldest, Twig - Youngest. 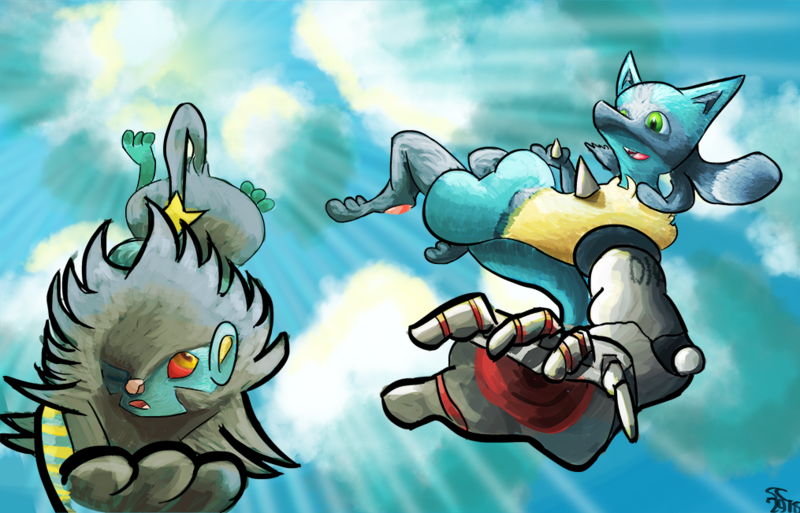 Shiny super cool looking lucarios with lots of muscle mass and awesome dog like lucarioness! @LadyTriox Thank you! I'm sure Korrina would be pleased! Just thought I'd play around with foreshortening. Here's Sal, the protagonist of my upcoming mystery/horror fic Black Paint! 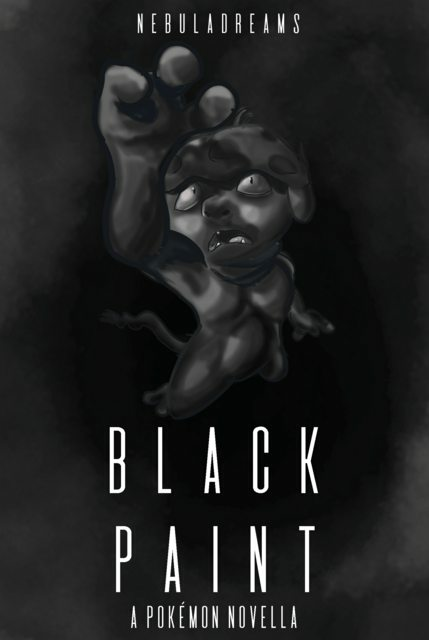 Here's Sal in the cover to Black Paint, looking all floaty and stuff!